Hair loss due to any circumstances can be very disappointing for a person while going in front of people. It is very embarrassing and awkward feeling for him. Hair loss is usually common in men and women so they seek medical treatments due to which they do not find quick and best result also it is an expensive treatment. Here are very effective and tested remedy I share with you, I hope you will be happy after use it. Gently Rub the Licorice in a glass and then fill it half with water. Now take Burdock and Dandelion root and mesh them to make a fine paste. Now mix this paste into Licorice water, and apply on your scalp and leave it whole day. In the evening wash it off your hair. 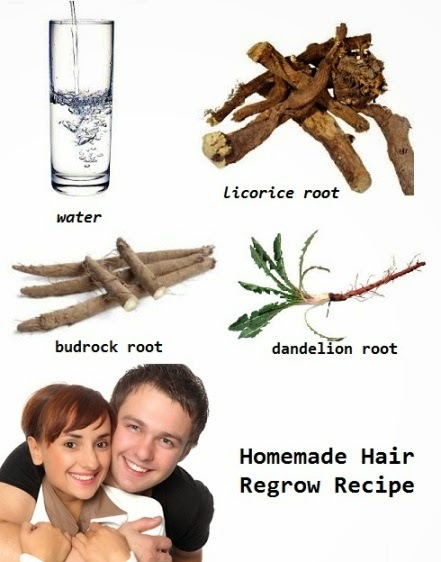 It will help to regrow your hair.